Golf is a great game providing enjoyable mental and physical challenges. On the mental side, golf is a game that poses problems that require a lot of creative problem solving. On the physical side, golf is a sport requiring good hand-eye coordination, technique and endurance. Regardless of height, weight, or strength, any child can successfully participate in golf without feeling out of place, and it is a game that can be played for life. Add to this the values that are inherent in golf such as respect, honesty, integrity, and fairness and golf is a desirable sport to include in a school's cirriculum. 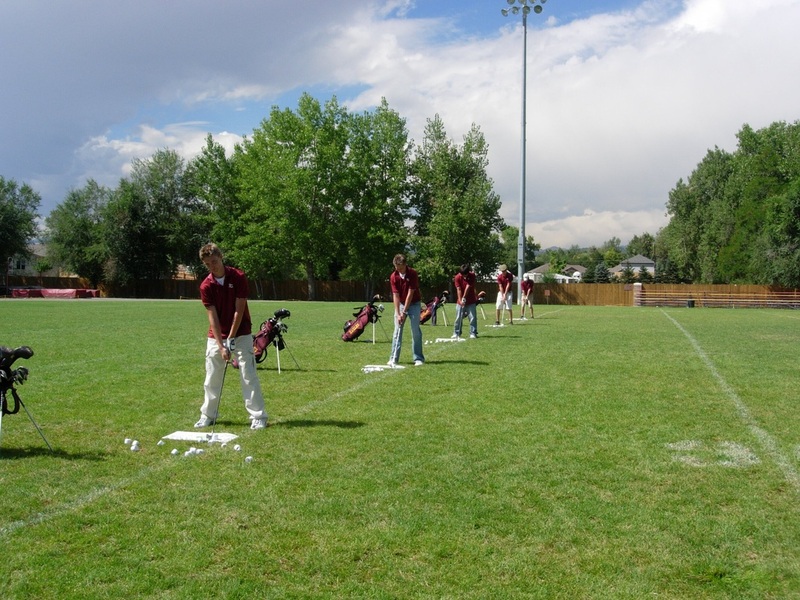 Unfortunately, schools have often found it difficult to introduce golf into their sporting programs due to equipment costs and lack of space on the campus. Both legitmate concerns that have prevented students from experiencing the wonderful opportunity of golf. Now, thanks to the amazing BirdieBall these concerns are a thing of the past. Thanks to its unique design the BirdieBall only flies about 40 metres but retains all the feel and flight of a normal golf ball. The benefit is obvious - you can receive accurate and meaningful feedback about your golf swing, by feel and sight, all in a very small area. Your students can now enjoy all the benefits of golf on the smallest of school ovals and even indoors in the gym. The StrikePad is an optional extra that compliments the BirdieBall. It is a light-weight pad from which you hit the BirdieBalls. It has a camber built into it so it deflects downwards at the point of impact in the golf swing to minimise jarring to the hands and arms while simulating the correct divot-taking action of the golf swing. The other benefit of the StrikePad is that it saves lawns and floors from damage. Indeed, using the StrikePad makes playing golf with the BirdieBall possible off the gym floor, on the tennis and Netball courts, and on the oval without digging up the lawn. To further enhance your students' introduction to golf, you can make use of the BirdieTarget. The BirdieTarget and BirdieHoop are two types of target, each adding a specific and measurable element to your students' golf education and practice. The BirdieBall range of products can be used alone to provide a comprehensive school golf program or individual items can be used to enhance existing equipment. If your school is currently running a Golf Schools program then the addition of BirdieBalls alone will take your students' enjoyment of the program to another level and accelerate their learning of the golf swing.